Blockshow Asia 2017 The Blockchain Event in Singapore! IBM is working on a Blockchain Platform to finance Goods Traffic! UBS President Axel Weber: Soon Digital Currencies of Banks? Greek Court agrees Extradition of Alexander Vinnik! Announcement: 🏆Bitcoin Course Challenge🏆 starts this Sunday! After the successful blockshow in Munich in April of this year, it is now going to Asia, more precisely to Singapore. The Blockshow Singapore 2017 is the event for the blockchain community in Asia where all major investors, start-ups and ICO projects will meet. Especially with respect to China's massive regulatory measures, this conference will be an important place to exchange information about the future of the crypto ecosystem in Asia, but also around the world. A special highlight of the event are the ICOscars, where preselected start-ups will compete. 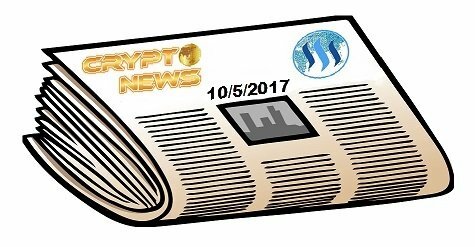 The last winners were Bancor, Status, Etherisc and Solarchange, who totaled over 200 million US dollars. This year, the ICOscars can be viewed again very promisingly. In addition to the ICOscars, the Hypethon is a highlight of Blockshow Asia. Here, 10 blockchain start-ups, also preselected, will start their ICO during the event. Investors have the opportunity to invest in the ICOs at special conditions and to ask critical questions to the respective team. Of course you will also find a full agenda of lectures and panel discussions, which you can see here. According to a press release from IBM, the Bank of Montreal (BMO), CaixaBank, Commerzbank and Erste Group have joined an initiative launched by UBS and IBM in 2016, the goal of which is the establishment of a new global trading platform based on blockchain technology. Access to this new platform called Batavia is intended to be open to companies of all sizes worldwide. The platform is used to finance trading activities of all kinds, for example by transporting goods by air, land or sea. Building on the initiative launched by UBS and IBM, Batavia is to be further developed as a trading finance platform based on the blockchain project Hyperledger Fabric. The five banks and IBM are involved in this process, involving experts from the transport industry as well as banking customers, to ensure that the platform is flexible, user-friendly and commercially viable. At the beginning of 2018, Batavia will initiate initial pilotting transactions with customers, which will be used to review previous development steps and further expand the platform. The new global trade finance platform is designed to make transactions more efficient, transparent and cost-effective, thereby facilitating the global development of cross-border trade networks with many participants. In addition, Batavia will allow the parties involved to keep track of shipments from the warehouse by loading them into an aircraft, a truck or a ship to the point of arrival, and automatically release payments step by step during these processes. The open design of the platform makes it attractive for banks, suppliers and authorities and could bring new companies onto the market as well as accelerate costly processes. Finally, retailers had to prepare extensive paper-based documentation for the secure processing of commercial transactions. These procedures can take weeks, incur costs, make data vulnerable to errors by manual editing steps, and tying up capital. Delays and a lack of transparency in trade make it difficult for companies to access finance. This restricts their possibilities in cross-border trade and thus also the growth in turnover. The Batavia platform will enable users to edit and compare documents, allowing buyers, sellers and their banks to handle transactions with a high degree of efficiency and transparency. By ensuring correct data transmission, in particular by IoT sensors, the risk of manipulation or errors can be significantly reduced. If all parties involved in a transaction have access to a uniform representation of the facts, this creates more trust among each other, which in turn leads to the establishment of larger, decentralized networks and consequently higher revenues. The former Bundesbank president and current president of the Swiss bank UBS, Axel Weber, spoke at an event in Zurich on Wednesday and talked about digital currencies. The former president of the Bundesbank expresses his hope that the Distributed Ledger technology coupled with artificial intelligence will revolutionize the banking business and the banking workplaces. He said this in his presentation on Wednesday at the annual meeting of the "Swiss Finance Institute" in Zurich, as reported by Swiss Boulevardmagazin Blick. If it goes to Axel Weber, the first crypto currency, which is issued by a central bank, could very soon come. "I think the first digital currency will come from Asia. The way the data is stored on the blockchain creates a very high transparency", he said. However, the UBS does not rely on public blockchains - as is the case with Bitcoin, for example - but on private blockchains, which should only be accessible to selected users. 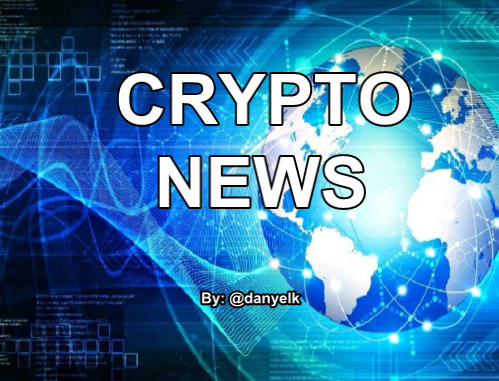 The crypto currency Bitcoin, the first and original application of Weber's famous blockchain technology, sees Weber, however, critical. A currency must fulfill various functions, he continues. On the one hand, it must be generally accepted and serve as a reserve of value; on the other hand, it must be able to be used as a means of payment and for transactions. Bitcoin, according to Weber, is "just a transaction currency". A blockchain initiative launched by UBS and IBM had only recently made headlines when the Bank of Montreal, CaixaBank and Erste Group joined the project in addition to Commerzbank. A Greek court has agreed to the extradition of the former operator of the Bitcoin exchange BTC-e. The operator will soon have to face the allegations in an American court. The accused, Alexander Vinnik, is being sought in the United States, since he has led the crypto exchange without permission. In addition, he is accused of money laundering in the amount of 4 billion US dollars. Shortly after the announcement of the verdict, the lawyers of the accused announced that they would challenge the verdict. At the hearing, Vinnik denied the allegations against him. He explained that he was not the operator of the platform, but was solely responsible for the technology. According to the News Tribune, Vinnik has said to the judge: "I have nothing to do with the things I am accused of." He also said that the laptop seized during his arrest was not related to his work at the crypto exchange and that only cartoons for his family were on the laptop. Vinnik was arrested in July during his holiday in Greece after the crypto exchange was suddenly closed by officials of the international criminal prosecution. In addition to the United States, the Russian is also sought by his home country. The Greek courts have not yet taken any decision on a possible extradition to Russia. The defendants' attorneys should have said during the hearing that they would not appeal against extradition to Russia. According to media reports, the wife, Alecandra Vinnik, said that extradition to the United States was "funny" because her husband had never lived or worked in the state. 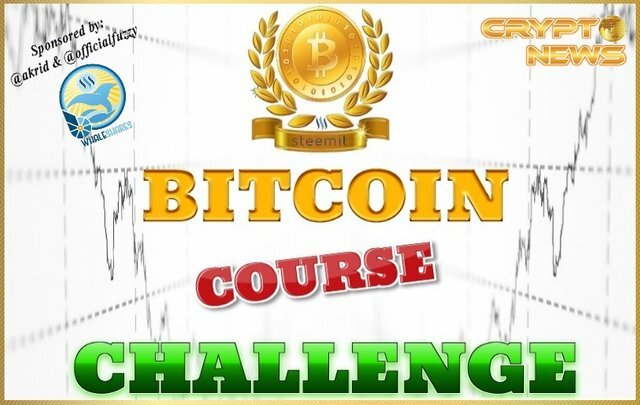 My fellow Steemians Crypto News by @danyelk is happy to announce the "BITCOIN COURSE CHALLENGE". From this coming Sunday October 8, 2017 on, you can participate in the 🏆BITCOIN COURSE CHALLENGE🏆 where you can win 💰20 WHALESHARES💰!!! The rules are simple, every Sunday you write the Bitcoin Price USD for the next Sunday 12:00 UTC time and your Bitshares or OpenLedger wallet name ( like this $ 4,159.44 danyelk1 ) in the comment section of my Crypto News post from Sunday and the one who has it right or is the closest will be the WINNER and gets the 20 WHALESHARES. I will accept your answers till Friday 12:00 UTC time. If you are new with WHALESHARES please click HERE! If you have no Bitshares or OpenLedger wallet click HERE! In case you have some problems, you can provide me with the URL of one of your posts and get a 20% upvote from @officialfuzzy himself. For more information and questions about WHALESHARES go to the WHALESHARES DISCORD CHANNEL! OH WEEE I am so pumped to see your Bitcoin forecast skills and can't wait to see you all on Sunday October 8, 2017!!! BIG THANKS go to @akrid & @officialfuzzy who make that all happen by sponsoring the "BITCOIN COURSE CHALLENGE"!!! I wish you all a lovely Thursday!!! O weeeeeeeeeee awesome news, insight, and depth all in one convenient place per usual thank you my brother. Your welcome bro and thanks for the awesome comment!!! You're welcome buddy and can't wait. I have a number in mind already o weeee. Good one brotha! Imma be on it like a hawk! 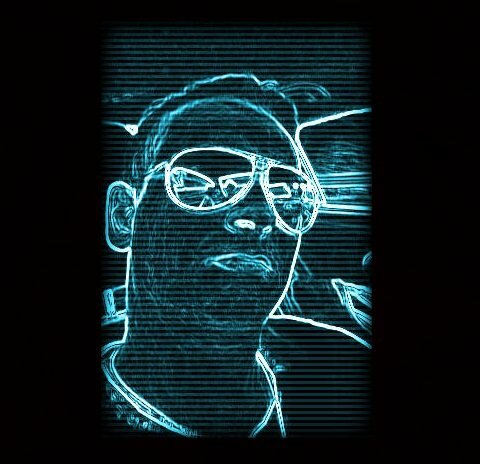 Nice the Steemit Contest Master aka BOSSMAN @kid4life will participate in my Challenge!!! Should I forecast the price of bitcoin here ? No this is just the Announcement you can participate on Sunday in my post. Just found your feed. Great stuff! **@danyelk got you a $7.71 @minnowbooster upgoat, nice! The @OriginalWorks bot has determined this post by @danyelk to be original material and upvoted it! This post has received a 4.08 % upvote from @buildawhale thanks to: @danyelk. Send at least 0.50 SBD to @buildawhale with a post link in the memo field for a portion of the next vote. This wonderful post has received a bellyrub 23.72 % upvote from @bellyrub thanks to this cool cat: @danyelk. My pops @zeartul is one of your top steemit witness, if you like my bellyrubs please go vote for him, if you love what he is doing vote for this comment as well.